Fingers Crossed Won't Work In Business! | Accounting Inc.
April brings the start of the new tax year and for many companies with a March year-end commencement of a new financial year. Time for renewed goals and optimism, and for many businesses this can feel like a fresh start. However, the reality is far from a clean slate. For many of us, we got into business because we are great at what we do and had the opportunity to do it under our own roof. Being able to freely implement ideas, and have the freedom to set own hours being some of the many benefits. Ultimately business owners have the opportunity to create a better quality of life. When you started in business you likely had a vision what the next few years would look like. You may have prepared an initial business plan. Commonly requested by banks and other lenders. For those established businesses a few years down the line how does the current business climate compare to your vision? For many small businesses, the plan for success can be in the business owners head. Often chasing that one big contract that can turn their fortunes. Three in four small businesses don’t have accurate numbers available. Many still rely on the annual visit to the accountant to find out how their business has performed. This meeting can sometimes take place nearly 9 months after the end of the last financial year. Therefore discussing outdated performance. 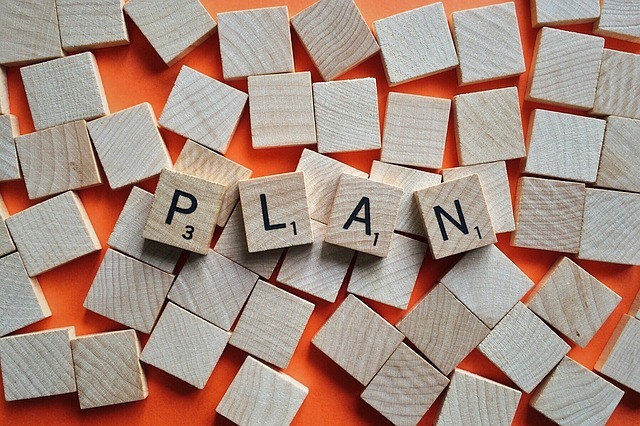 All businesses should have a structured plan to deliver on its objectives. This includes reporting on key performance indicators (KPIs). After all, what’s measured can be improved. This means you will have transparency on what’s working and what isn’t. Also, be able to prepare for problems before they happen such as a drop in cash flow if you’re a seasonal business for example. Whether you’re just starting out or a long term business owner. Your business will be the fuel that drives your personal ambition. You may want to move to a bigger home, buy a new car or take more holidays abroad each year. More experienced business owners often want to cut down on work and provide for their family. Therefore to run a successful business that can deliver your personal objectives you need a strategy. Fingers crossed won’t cut the mustard. Therefore are you going to leave what opportunities your children and grandchildren may have to chance? For many business owners, their retirement pot is selling their business. We’ve seen owners shocked when their business is not valued at the price they had in mind. Some have minimal assets. This can include cash, stocks, shares, and pensions. Therefore problems can arise when they do not have enough assets to fund their lifestyle through retirement and are forced to continue working. A strategy to maximise value from the business to fund personal ambition is vital. Whether you want to retire, invest in assets or buy shiny things you need a plan to do so. This will help maximise tax savings and efficiency. Is your current accountant helping you achieve your personal goals through business? Or are they purely there to be a historic recorder of financial transactions? Ever had a surprise tax bill which is due imminently? We are seeing more and more business owners engage with business coaches. Without a doubt, there are some great coaches out there. However, we are seeing too many coaches trying to do the work of an accountant or financial advisor. Without having the skills, experience or qualifications to do so. When looking at the finance function of a business or personal finances. Therefore you need to ask yourself do you have a strategy to bring the business results to fuel your personal ambition? Is your advisor helping you achieve success? Is your accountant going to be around for the long term? At Accounting Inc. your long term success is our business. We work closely with financial advisors, will writers and lenders to give you the tools and expert advice to make informed decisions and plant the seeds for a great life. We offer a free informal consultation. So come join us for some coffee and cake and we’ll discuss how we can help you achieve better results in less time, and the life you desire.